Many prospective hunters, and even some seasoned hunters have the question of which rifle is best for most applications. Firearms can be expensive, especially bigger caliber rifles which can be considered as better to use when hunting big game; game such as: deer, whitetail and mule, elk, black bear, moose, antelope, etc. For some people, having a lot of guns to choose from can be helpful, but even those who have many firearms in their possession tend to always be picking up the same rifle each time they go out for a hunt. It is always best to try out a few different calibers in order make a good decision on which caliber to purchase. Asking other people could be helpful, but everyone has their own opinion and personal preferences so it is best to ask a trusted person. The goal here is to provide quality and useful information in order to influence a decision regarding the purchase of a rifle that can be used for a lifetime and even be passed down to progeny. The other thing that will be looked at is the price. Guns can be expensive, but quality guns can be bought within a budget without having to look in all the local pawn shops, even larger caliber rifles. Before even thinking about which brand of rifle, or caliber to buy, it is important to know what animal will be hunted. Along with the species of animal that is hunted, it is crucial to know how to hunt for that animal and what terrain the animal can be found on. While the final goal is to harvest an animal, there is much more to hunting than just shooting an animal. There are various ways to hunt game, with each species being different. It is very important that each hunter understands the animal(s) that he/she is hunting, not only when purchasing a new gun, but in order to make the entire experience memorable and worthwhile. Will it be fields and meadows, a few trees or dense forests, rolling hills or rocky, steep mountains? Is there the potential for lots of mud and watery areas? Will the hunting party be on horseback, ATVs, driving trucks, hiking or in a tree stand? Will the animals be called in, stalked separately by each member of the party, herded into a predetermined location, or will it simply be a waiting game? One might ask why these things should be considered when thinking about purchasing a new rifle. The reason being is because the rifle needs to be comfortable to the person using it, in all situations in which said person will be found. If someone is planning on doing a lot of hiking and tracking on foot in order to find their game, that person will not want a heavy rifle, because the rifle will eventually become bothersome and the experience will not be as enjoyable. If most of the hunt will be from a tree stand, then rifle weight might not be much of a consideration. What about caliber? What caliber should be used for the perfect hunting experience? Will the gun that I buy for deer hunting be okay for the occasional elk or moose hunt? For new or inexperienced hunters, these are common questions to be asked. The answer varies from source to source. The truth of the matter is that it all depends on what the hunter is comfortable shooting with. The gun that feels best at the shooting range, and does not put a huge bruise in the shoulder of the shooter is the one that will feel the best out in the field. Well if the primary target is deer but I want to hunt elk occasionally, or vice versa, which caliber is best? One experienced hunter, who has hunted for more than forty years and guided for almost half of that time and happens to use a .243 lever action mainly for elk, says that it does not matter a lot as long as the hunter has become thoroughly accustomed with the firearm that he/she carries. Another hunter with over sixty years of experience said that he has shot a lot of weapons, included a lever action .30-.30, with which he harvested a moose, but he prefers to use a .308 with a lever action. These two gentlemen spent most of their time hunting in South Western Montana, where there is a mixture of steep mountainous terrain and rolling open fields. Three other people who hunt in the same area were asked which rifle they prefer. One said he preferred his 6.5 Creedmoor (bolt action), another said his 7mm magnum (bolt action), and the other his .25-06 (bolt action). The reason for this is because these men were used to these rifles, and were very accurate with them. Take a minute and think about the Revolutionary War. The marksmen of the Revolutionary War were not typically issued a rifle, but instead used their personal weapons with which they were accustomed to using. They were most accurate with these guns because they knew exactly how they shot. They were used to carrying them and they were comfortable with them. They used them often, as this was probably the way most of them obtained meat when they needed it in order to provide food for their families. Their firearms were a means of survival for them, so they were able to use them well because they used them often. Ethics should be mentioned as well. The rifle that is used to take down an animal should be able to kill the species that is being hunted. For instance, it probably would not be very effective to use a .17 hornet, a .22lr, or even a .223 to hunt elk; however, as mentioned above a .243 can be very effective in killing such an animal. The other thing to think about regarding takedown power is the ability for the bullet to expand as it enters the animal. If the rifle that is being used is too powerful it will go straight through the animal, only creating small holes which will cause the animal to suffer more as opposed to a round which expands as it penetrates. Expansion of the bullet upon entry will create more knockdown power, which will cause the animal to die quickly without much suffering if any at all. One caliber that could be considered to be too powerful for hunting game such as deer and elk would be a .300 Win Mag. Sure these bigger calibers might have more range, but sometimes they are a little too much, not only for the animal but also for the shoulder of the shooter. 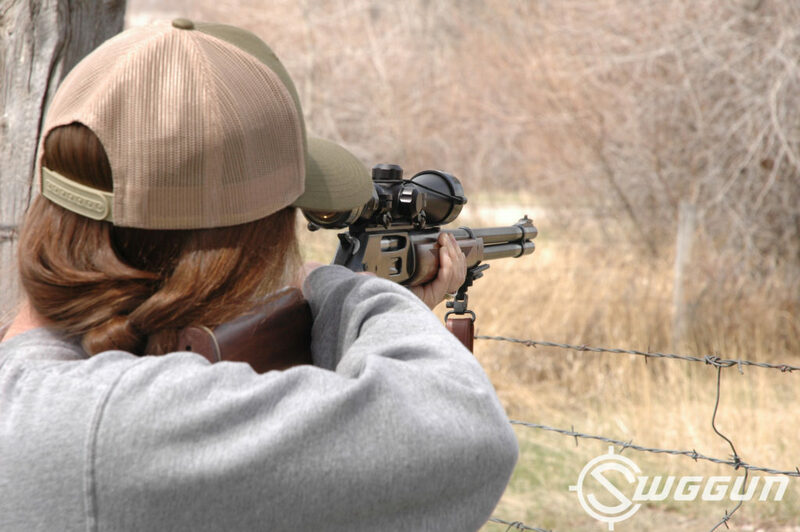 If the rifle is uncomfortable then accuracy will be negatively impacted, which will in turn affect ethics because an inaccurate shot will likely result in no more than a wounded animal. The best advice that could be given to anyone wanting to buy a new rifle is to find someone who owns one, or has shot one regularly enough to be able to give an accurate review. Not only ask the owner how the gun shoots but ask if it would be possible to test it out at a shooting range. It is best to try some of these out to see which feels the best; testing accuracy, weight, overall feeling of the rifle, and which action is preferred. Also, be sure that the rifle is not too much to handle. If a shooter finds that he/she is constantly flinching before he/she even pulls the trigger, then the caliber is probably too much for him/her to handle. Actions: there are some semi-auto hunting rifles on the market today but people tend to be more accurate with either a lever action or a bolt action, which is what the focus here will be on. 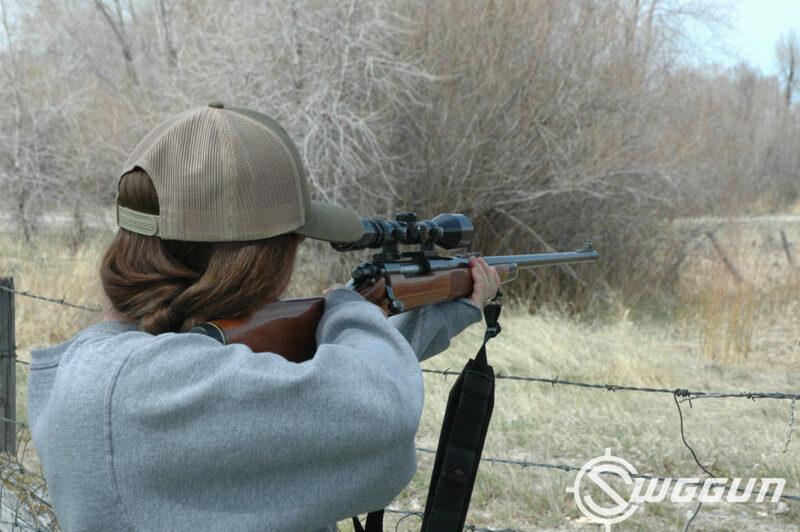 Single shot rifles are not too popular much anymore and with single shot rifles it is hard to make a follow-up shot if the target is missed. These calibers are very effective for big game hunting and there are many affordable options from many different manufacturers. All of these rifles can be found in stores for under $1,000 and some of them even for less than $500. The .30-30 Winchester is made by a couple different companies and varies in the $600-$900 dollar range (there are a couple under $500), depending mostly upon which stock it has and how long the barrel is. Stocks are usually walnut, but there are a couple synthetic options from different companies. Marlin’s model 336W can actually be found for less than $500, depending on where you purchase it. The barrel sizes go from 18.5 inches up to 24 inches, although most come with a 20 inch barrel. This is considered to be a little short, and the .30-30 can be a little tricky to shoot accurately at more than 200 yards unless the shooter is very familiar with it since the bullet will drop so much. Henry has a couple options in this caliber, with a round barrel or an octagon barrel, both in the 20 inch length. Mossberg has the model 464, which can sometimes be found for less than $500 as well. Attached tubular magazine means that it can’t be dropped in the mud and get dirty as easy as a clip when reloading. The .30-30 Winchester is a great rifle for those with shorter arms because of its shorter length and it isn’t a particularly heavy rifle either (about 7 pounds). Typically it is equipped with a lever action and known as the “cowboy rifle” because of its popularity in Wild West times. The lever action is handy, making it easy to equip with a scope and not worry too much about brass scratching the scope as it is being ejected (if it’s a side eject). The downside to the lever action is that the shooter will have to dodge the ejecting brass if he/she is left handed because the left handed lever actions are much harder to come by, if at all. 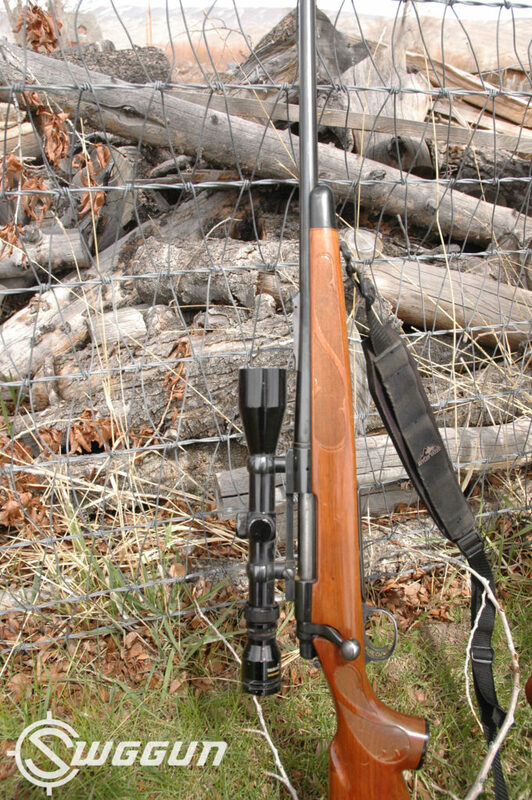 Typically used for hunting deer, this rifle is capable of effectively harvesting larger animals such as elk and moose, if the shooter is very familiar with it. If a .270 Winchester seems to be the best fit, then the potential buyer will have no problem finding one whether or not he/she is on a budget. There are many options varying from $300 up to $1000 and more. This caliber is an easy caliber to shoot, and coming in around 7-8 pounds is not a particularly heavy rifle either. The barrel length will vary between 20-26 inches. Some models come with an adjustable trigger weight, which can be handy especially if more than one person will be using the rifle. The bolt action is what is most prevalent for this caliber, however some lever actions can be found as well. The bolt action is handy because many companies make bolt actions for left handed shooters as well as right handed shooters. With a longer barrel, and longer stock (found in wood and synthetic) it works great for someone who has longer arms, but it is not uncomfortable for a shorter person to hold either since it is not too heavy. To name a few: Browning, Remington, Ruger, Savage, Mossberg, Winchester, and more make rifles of this caliber. Buyers will have no trouble finding the perfect .270 Winchester that fits the needs they desire, whether that is to hunt deer, or to tackle larger game. Also found in the $400-$1,000 range is the legendary .30-06 Springfield. Used in the United States army as a standard rifle round for many years and very popular for hunters for many decades, the .30-06 is both affordable to buy and shoot and is available in many stores. There are a couple semi-auto options and a couple lever actions available, in fact Browning offers one (lever action) for around $700 but the most popular action for this rifle is the bolt action. Mossberg and Remington have a couple models for under $500, usually with a synthetic stock, but there are many wood stock options as well and many for under $1000. Barrel lengths typically range from 22 inches to 26 inches, with 24 being the most common. Most of these guns are in the 7 to 8 pound range; however, some with synthetic stocks come in at less than 7 pounds. The .30-06 does not have too much kick and being around 7 pounds, it is not too difficult to carry on long hunts. Shooters will not have a hard time being accurate with this rifle, even up to 350 yards, as long as the rifle is sighted in accurately and the shooter is used to firing it. The .30-06 is a great rifle for most any hunter in whatever application he/she desires. On the list as well is the .308 Winchester, which is now a popular round for many big game hunters. Some of the .308 rifles are even able to shoot a 7.62mm NATO round, which opens up more options for ammunition. 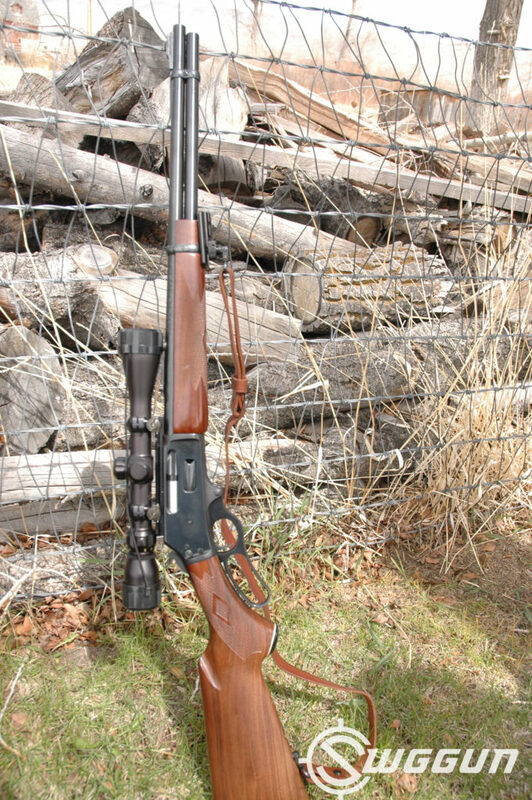 Browning offers a lever action for under $1000 and Remington even offers a pump action, but the most common action seen for this rifle is a bolt action. According to some, shooting a .308 is very similar to shooting a .30-06 but, like everything else, it depends on who is asked. The .308 was developed after the .30-06 and was based on the .30-06 round. The ballistics of the two rounds is not too far apart either. 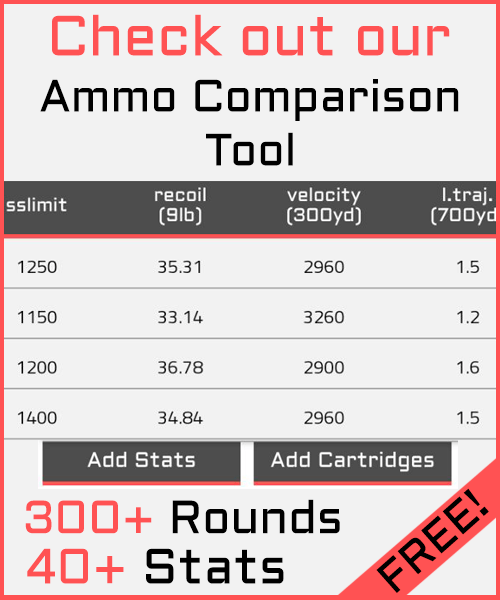 Another thing to keep in mind might be that ammunition for the .308 Winchester is a little bit cheaper to purchase than that of the .30-06 Springfield. The last caliber on this short list is the 7mm Remington Magnum, the only magnum on this list of rifles. It may be a magnum but it is much more manageable than the .300 Winchester Magnum round, a popular round as well but definitely not recommended for first-time shooters and hunters. The 7mm will not beat the shoulder of the shooter as much and is considered by some a better all-around hunting rifle for most big game applications. 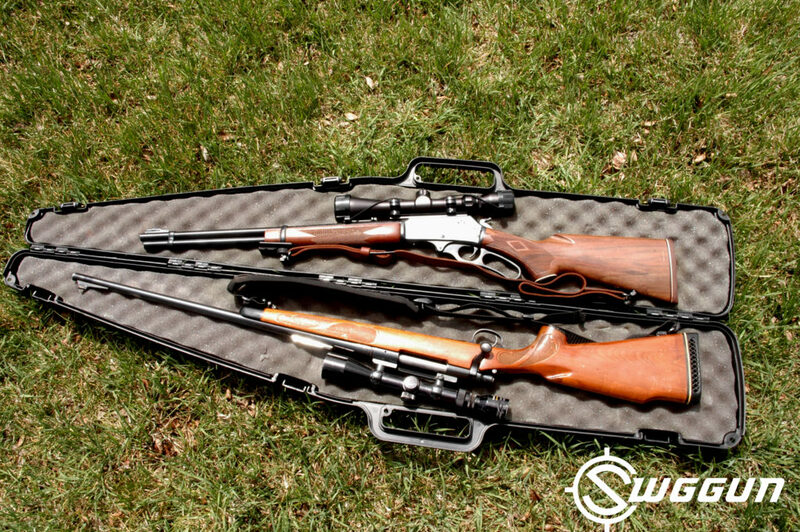 There are not a lot of options found for under $500, albeit a couple (Winchester has one option), there are quite a few options found in the $500-$1000 range. Both wood and synthetic stocks can be found and, as with other calibers, there might be a couple lever or semi-auto actions available but most commonly found is the bolt action. The 7mm Remington Magnum is manageable like the other calibers mentioned as well, it is not too heavy (7-8 pounds) or long, with the barrel most commonly found in the 24 inch length, but other lengths can be found. Unfortunately there is not any “best” rifle, or even “best” caliber. The truth of the matter is that there are many different options out there, even for similar applications, and it is impossible to say which is best. For a shorter or smaller person, it might be better to have the .30-30 Winchester or .270 Winchester. The 7mm Remington Magnum, .308 Winchester, and .30-06 Springfield are all very similar rounds and shoot very similarly. The weight of all of these rifles is usually about 7-8 pounds, so weight would not be a good determining factor either. Talking to a trusted friend or relative can be helpful, but even some of them might be misleading. The best advice that could be offered to anyone who is thinking about purchasing a new rifle is to try out different calibers to see how they shoot. The important thing to know is which caliber is most comfortable to shoot and which action the shooter prefers; lever or bolt would be the recommendation for accuracy. Once this information is gained the potential buyer can then start to think about which specific rifle he/she will buy. The bottom line is that there are plenty of options out there for the prospective buyer for under $1000 and even under $500.